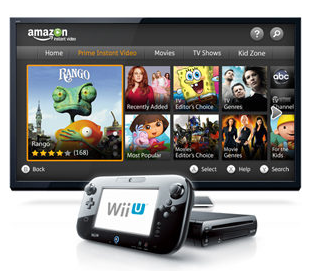 Online retailer Amazon has struck a deal with Nintendo that will allow gamers to watch movies including The Avengers and TV series including Sons of Anarchy on the Wii U console. The deal will see Amazon’s Instant Video app available on the console, which means that more than 140,000 movies and TV episodes will be available. The arrangement will initially launch in the United States but Amazon is expected to roll out its service internationally. Movies include Brave, The Amazing Spider-Man, Men in Black 3, The Hunger Games, and Madagascar 3: Europe’s Most Wanted as well as TV series including The Walking Dead, Sons of Anarchy, Revolution, and Big Bang Theory.